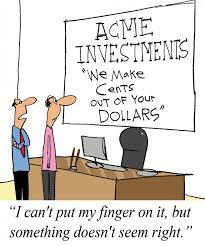 DO YOU MAKE SMART DECISIONS ABOUT MONEY? The foundation of the Advocacy Network is that of proactive protection against financial victimization. We will take a journey on roads paved with financial literacy, personal financial behaviors, personal obstacles within the perspectives on money. We help you identify all of your financial planning needs and also the behavior traits that have exposed you to the potential for victimization. We always provide the Right content at the Right time from the Right sources. Your best interest is the only measurement that is considered for your journey to financial independence. Financial Services professionals are also protected against the many forms of financial victimization perpetrated against sales professionals, such as marketing and information schemes and manipulations. WARNING:$250 Billion dollars are lost each year to all forms of Financial Victimization. This impacts all classes of people. UPDATE: The Advocacy Network NOW provides FREE Legal referral services for the recovery of losses due to financial victimization. CALL Karl is our new referral platform. Fill out our contact form with request or call 321-947-3220 to speak with Karl Schilling directly. You can also schedule an apt for call with Karl by using our scheduler. Don't hesitate to find out if you may have a case. You are guaranteed complete confidentiality and only you and the legal professionals have any access to your specific case. Let us help you! Check out FES Protection Plan Today! 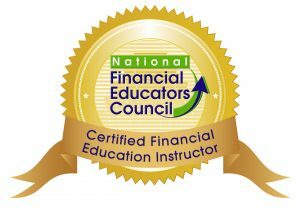 We provide consistent and ongoing financial education through workshops, webinars and most importantly an individual relationship with a Financial Concierge! Our Non-Profit organization Advocates Against Financial Victimization (AAFV) provides FREE financial literacy workshops in all the communities served by our Financial Concierges. The Financial Concierge also works with you on a personalized basis to provide the necessary assistance for all financial solutions you need in order to build financial independence. We provide proactive protection from all scams, fraud and predatory sales tactics through financial literacy education and strategic alliances created to drive you and your family to financial independence thus assuring you will never be financially victimized. *One of our strategic alliances is the Financial Education Services Protection Plan. This opportunity will help you take the necessary steps to Financial Independence. Your credit is an amazingly important tool for your financial lifetime, that includes the handling of debt and the elimination of debt in order to earn interest for wealth accumulation. 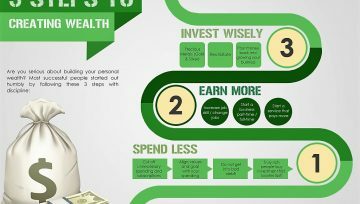 Take First Step to Financial Independence! 1. Do Not provide your physical mailing address, phone number in any email offerings or direct mail offerings. (The lists that are created for lottery scams and other such fraudulent offers are created by the very simple process of providing this information. These lists are commonly referred to as "sucker lists"). 2. YOU can never win a contest or lottery that YOU have not entered. Let's repeat, the only contests that have any legitimacy are those you actively register for and participate in. (This means you need to be very selective and complete due diligence on any Contest offers you may receive). 3. This lottery and contest scam is ALWAYS promoted via the telephone and email. They will always ask you pay a fee for some contractual need to release funds to you. This is ALWAYS a lie, not sometimes, ALWAYS! You will never receive any money from any Lottery or Contest offers via the telephone or email. 4. All Advocacy Members are able to use us as YOUR buffer for these types of offers. ALWAYS call US first! Our research is shared openly and precisely geared to inoculate and insulate you against scams, fraud and predatory sales tactics. We help you create a fully DIY (do it yourself) process that will assure you make smart decisions about money. DON’T BECOME A VICTIM – BECOME A MEMBER! DANGER ALERT The GREATEST Financial RISK you and your family face is that of Financial Victimization. Each year 100's of BILLIONS of dollars are lost through financial victimization. Alert: The greatest financial victimization risk today is AMORTIZATION. 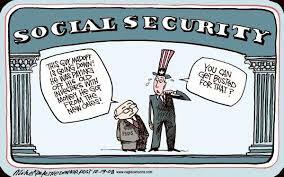 95% of all Americans are being robbed of their opportunity for financial independence, only 5% of our population reach the rarified air of FINANCIAL INDEPENDENCE. On average the financial loss due to AMORTIZATION is $108,000. That is money you will never realize the benefit of compound interest with, that loss is never recognized but it clearly is the guarantee for NEVER reaching financial independence. By subscribing to the Advocacy Network Virtual Campus, you will learn how to attain financial independence and make smart decisions about money! Open the doorway to Financial Independence FES Protection Plan (The Advocacy Network now provides you with Credit Repair Services through Financial Education Services! We also provide a full financial planning process called Startegy which coaches and trains you on how to create, develop and follow through on your own financial plan. This will save you a substantial amount of money every year. You also have at your demand many virtual and interactive segments. These include monthly webinars, hotspots with insider information about the financial services industry, sales training and coaching for members in those industries, hotspots for small business owners with topics such as exit strategies, succession planning, marketing and sales planning, and even a business brokerage for the sale and purchase of small businesses. And in order to make the journey to financial independence available for the Middle Class we have added TRUE CREDIT Repair Services, no predatory nonsense, just effective services. As a member of the Advocacy Network you will also be provided alerts on the most prevalent and common scams and frauds as they are exposed. Our mission is to help you be fully protected against any and all financial victimization. This is a process and as a member you need to participate in your protection by taking advantage of the many tools and educational content we provide you with. Have you ever felt the pain, anger, shame and guilt of being financially victimized? Our mission is to provide a dashboard of tools and concepts that will continually keep our members up to date with the entire universe of economic and financial change as it occurs. We do not believe in knee jerk reactionary based decision making processes. Our focus is on a counter-intuitive based philosophy to making smart decisions about money. The Advocacy Network and its Founder Karl Schilling provide that immeasurably valuable service of good advice based upon reliable information. We at MoneyTV have always enjoyed Karl's thoughtful insights as a guest on our television program. The Advocacy Network would like to welcome Joe DeRenzis of JD Financial Solutions and Insurance Group. "I'm pleased to be both the Financial Concierge in Sarasota county Fl as well as the National Recruiting Director for the Financial Concierge platform within the Advocacy Network. You can reach me at 863-381-7633 to learn about our exclusive Financial Concierge positioning. In the internet age of "Buyer be ware" of scams in the U.S and across the Globe Karl Schillings Advocacy Group has Really hit it out of the park. Finally a place where people of all demographics can get a REAL behind the scene look at the financial industry. Scams today are difficult to recognize, and the ability to actually have a third party (our own advocate) help us walk through difficult and complicated decisions is a real blessing!